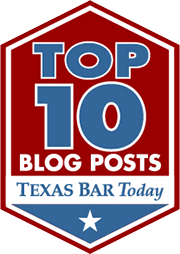 Here is the lowdown on Shepherd vs. Dallas County; a recent decision from the 5th Circuit (circuit as in Federal, not State) court of Appeals. Shepherd would have a stroke if he did not receive his medication regularly. Stanley filed a federal 1983 suit challenging the conditions at the jail. In this case, Shepherd showed that the chronically mismanaged and understaffed jail created a condition where inmates were denied basic medical care. This wasn’t hard. Dallas has historically had one of the worst run jails in the country. 1983 lawsuits can be an effective way to pierce the veil of sovereign immunity state and local governments so often grant themselves. But for the prospect of writing more checks, you can bet local pols would remain deaf to the concerns of pre trial detainees and their appalling treatment.